Do you need a rug cleaned for your business or home? We at Out of Sight Cleaning will clean your rug and/or rugs and an affordable price. Our rug cleaning services yield excellent results to our customers. We pride ourselves on excellence to ensure that your rug come out looking clean and beautiful for your home or place of business. There are various benefits of considering your rugs cleaned by professional cleaners. Cleaning professionals thoroughly clean rugs without employing harsh methodologies and products. There are other cleaning methods in the market which leave a sticky chemical residue. This usually draws dirt even after cleaning thus making the rugs to become dirty at an exponential rate. Professional cleaning of rugs evades you from the need to regularly get your house or office in order. This reduces on the cost of cleaning thus making it economical. 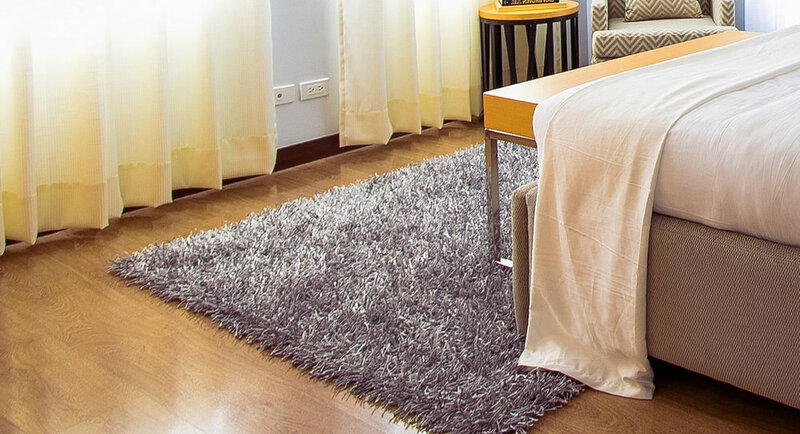 Thoroughly cleaned rugs may be used as soon as they are treated. If cleaning is done in the customer’s premises, it can be ready for use immediately the process is complete. Even if it is done in the workshop, the rugs are returned by the company to the client as soon as cleaning is complete. As mentioned earlier, heavily soiled and smelly rugs take a longer time to clean and be returned to the customer. Cleaning may be done on any type of rug regardless of the material component including those that are delicate. The results from past experiences are remarkable and the quality of cleaning is guaranteed. We offer as an option to our customers a chemical, eco-friendly solution for your rug. We acknowledge that some of our customers may have sensitivities to certain chemicals, so we offer a green solution based on that fact. Some people may be wondering how long to take before rewashing their rugs. It is recommended that the rug should be cleaned as frequently as possible depending on its usage. Rugs which are heavily used by children and pets at home can be cleaned occasionally since the rate of dirt is so high. Moreover, if you have allergic children, then then your rugs should be vacuum cleaned regularly and professionally cleaned at least thrice a year because rugs accumulate high volumes of dust thus triggering rhinitis, asthma and other allergic illness. Our rugs are first agitated in order to remove loose dirt then a machine used to brush a compound on the rug to remove the remaining dirt and to lift up flattened fibers thus restoring softness. Tough stains may then be removed using chemical safe stain removers and be left to soak to completely remove dirt. For smelly rugs, an odor removal compound is applied to neutralize unpleasant smell. If you have any inquiries about our rug and carpet cleaning services, contact us in Grass Valley, CA. We not only clean rugs but also provide other home cleaning services including carpet cleaning. Our prices are reasonable depending on the intensity of dirt and technicalities required.